NTSB: Tesla Booted From Crash Investigation For Not Following Rules : The Two-Way The agency says the high-tech carmaker improperly and prematurely released information from a probe into the fatal crash last month of one of its vehicles in California. 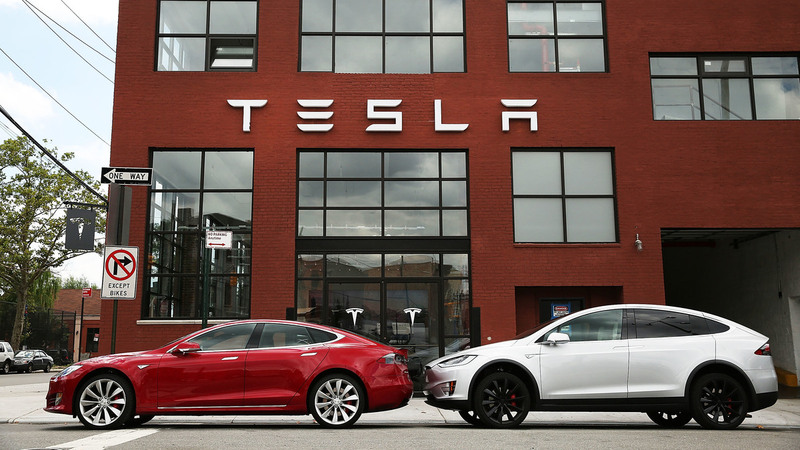 Tesla vehicles sit parked outside of a new Tesla showroom and service center in Red Hook, Brooklyn in 2016. The National Transportation Safety Board, which is looking into the fatal crash last month of an SUV using Tesla's Autopilot system, said it is removing the high-tech automaker from the probe for improperly disclosing details of the investigation. Earlier this week, Tesla blamed Huang for the accident, in a move that the NTSB contends runs counter to agency protocols. "Removals from NTSB party agreements are rare. The agency in 2014 revoked party status for United Parcel Service Inc. and a pilots union in the probe of a crash of one of the package-delivery company's cargo planes after public comments were made by each side about circumstances surrounding the accident. "For Tesla, a departure from the NTSB agreement risks diminishing the car maker's influence over and insight into an investigation that could ultimately reach critical conclusions about one of the company's signature products."